Confused by the cloud? You are not alone. Everyone seems quick to throw the word “cloud” around like it’s this decade’s biggest buzzword. As a concept, the cloud can actually be traced back to the 1950s, when multiple terminals were first connected to one main computer to make more efficient use of expensive mainframes. As technology evolved, scientists naturally turned toward methods of connecting multiple users to one single server located offsite. In Citrix’s study, 54 percent of respondents stated they hardly ever use cloud computing. Ninety-five percent of those respondents were wrong. Consumers use cloud computing every day to check web-based e-mail, conduct online banking activities, store photos and music, and more. The social media sites frequented by 72 percent of all online adults also count as cloud computing, since users connect to servers located far away to communicate with loved ones and share photos. A cloud is a remote server, located in a data canter owned by a company. Rather than connecting a server in his or her own home or workplace, consumers use the internet to log into one of these faraway sites. For instance, a user’s web-based e-mail is stored on Google’s servers or Microsoft’s servers, secured with a password known only to the user. 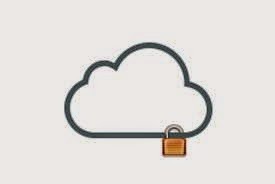 Some cloud services charge a subscription rate to store files, media, and even an organization’s entire network infrastructure. For a small monthly fee, a business can pay some other company to take care of all of its files and apps. Each worker in that business can connect to that server from any internet-connected device, accessing all of those files and apps from home, from the road, or while in the office. The cloud has opened up big possibilities for the future of the workplace. Citrix’s study found that 59 percent of those surveyed feel that the workplace of the future will be housed 100 percent in the cloud. This is convenient for the 40 percent of respondents who stated that being able to access work at home while wearing nothing but their “birthday suit” is the cloud’s biggest advantage. With the cloud playing such a big part in the future of corporate America, it’s no surprise that many Americans pretend they know what cloud computing is. More than one-fifth of Americans have pretended to understand how the cloud works, while 14 percent have pretended for the sake of a job interview. Consumers are even acting as though they understand the cloud in their personal lives–17 percent of respondents admitted to having lied about knowing how the cloud works while on a date. Gradually, cloud technology is changing the way we shop, play, and even work. Its important consumers fully understand this game changes the way they dress for work every day.